This is an overview of the many Free Resources that are available from the Empower Business Solutions website for small business owners who are sick and tired of being small! When looking for a Makeover of Your business, it’s daunting to know where to start. Knowing where you are right now allows you to set priorities. 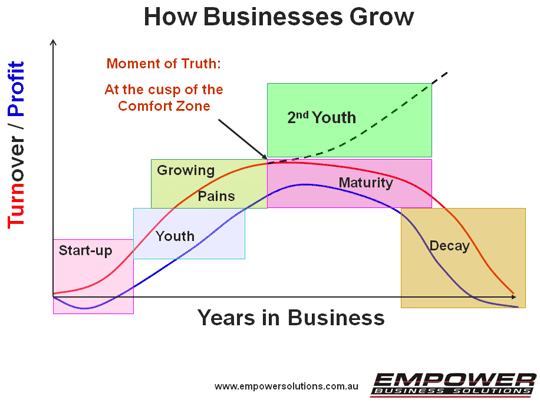 Understanding the Business Lifecycle and the needs of your business right now. A great start to build your business strategy is to develop a vision for your business with Empower’s exclusive Mission Statements Made Easy Tool. Understand why many businesses struggle and some, unfortunately, fail. Learn from others who have achieved their goals from these Case Studies. Further detail is available from The Five Pillars of Guaranteed Business Success. To receive direct advice on how to double your profits in 12 months and make your business run without you, request a Complimentary Business Evaluation. Stay up to date with the Marketing Moments Newsletter.